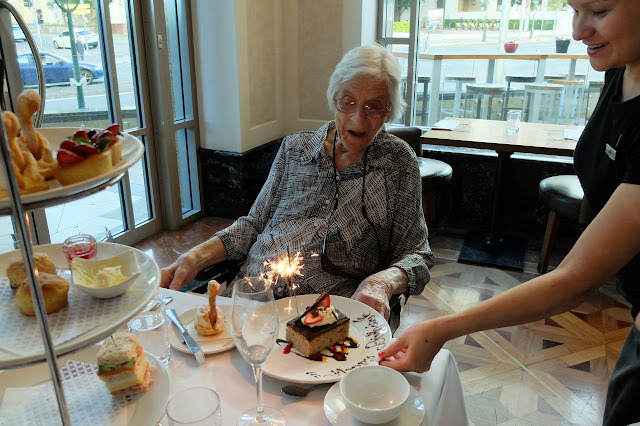 We had a lovely birthday celebration for Granny B (Rob's Mum) at the Brisbane Marriott on Sunday afternoon. 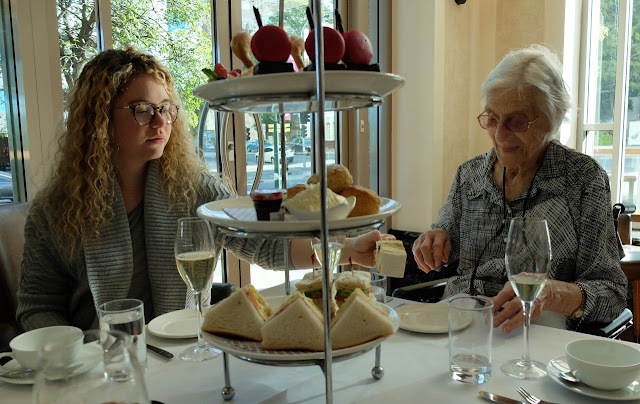 Her youngest grand-daughter Bec (and partner) were able to make it too so there was no shortage of conversation, love and warmth surrounding Granny B on the occasion of her 90th birthday (almost). As if we didn't have enough scones, pastries and macarons already our hosts at the Marriott also presented Bobbie with a surprise birthday cake!! 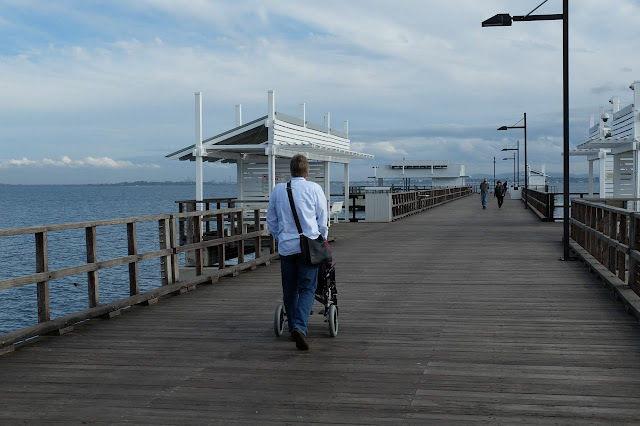 We finished off our week of celebrating with a nostalgic visit to the Redcliffe peninsula today. Bobbie remembers summer visits to Redcliffe with her mother (which must have been quite a trek in those days seeing they lived on a sheep property just outside Tambo over 800klms from Brisbane). They enjoyed swimming in the "surf" together and other holiday fun at Redcliffe all those years ago. We had a delicious seafood lunch at the historic old Belvedere Hotel at Woody Point, but Bobbie couldn't find anything familiar in the surroundings that reminded her of those happy holidays in the early 1930s. But then we saw this display in the foyer of the hotel and it brought back a lot of memories of day trips she and her mother did on the old T.S.S. 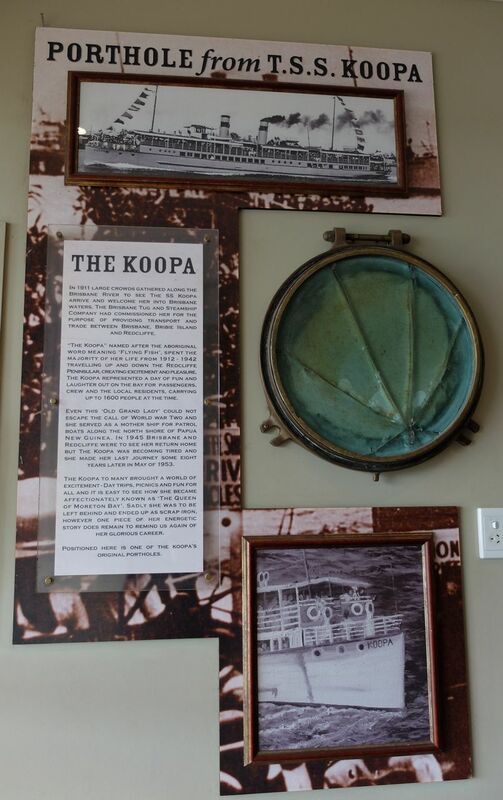 Koopa around the peaceful bays off Redcliffe peninsula. The old T.S.S. Koopa became a real workhorse in the second world war so it didn't last too long after 1945...and there is no comparable service operating now.....but it was apparently a happy cruiser in its day!